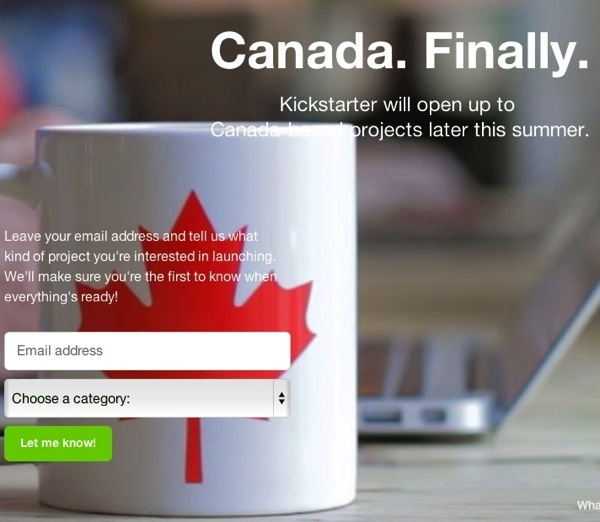 Kickstarter has announced on its blog as of today, new projects can be started by Canadians in time for its September 9 launch, giving entrepreneurs just over a month head start to get their projects ready. The company first announced it would be coming to the Great White North in late-June. Kickstarter says they will be holding three event workshops this week in Canada: August 8 and 9 in Toronto, and August 12 and 13 in Montreal. You can sign up for an event here.